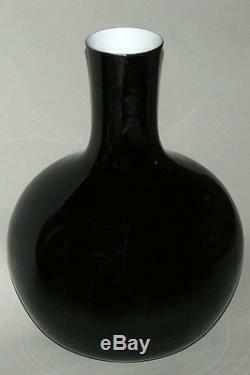 Large Chinese Porcelain Black Glazed Tianqiuping Vase. 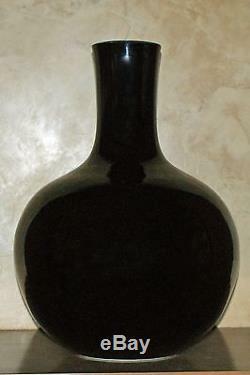 An extraordinary large Chinese porcelain black glazed tianqiuping vase. Interior of Neck Glazed White. 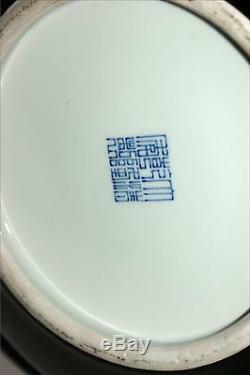 Base with Qianlong seal mark but later - late Qing Dynasty 19th c. Excellent condition - no chips, cracks or repairs. Professionally Packed - Double-Boxed or crated for safety. The item "Large Chinese Porcelain Black Glazed Tianqiuping Vase 19th C. Late Qing Dynasty" is in sale since Monday, June 16, 2014. This item is in the category "Antiques\Asian Antiques\China\Vases". 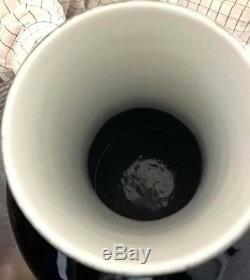 The seller is "dunbar*s" and is located in Palm Desert, California. This item can be shipped worldwide.